At least you've got a reason to do it this time. More zombies, more guns, more excuses to kill those that are already dead. 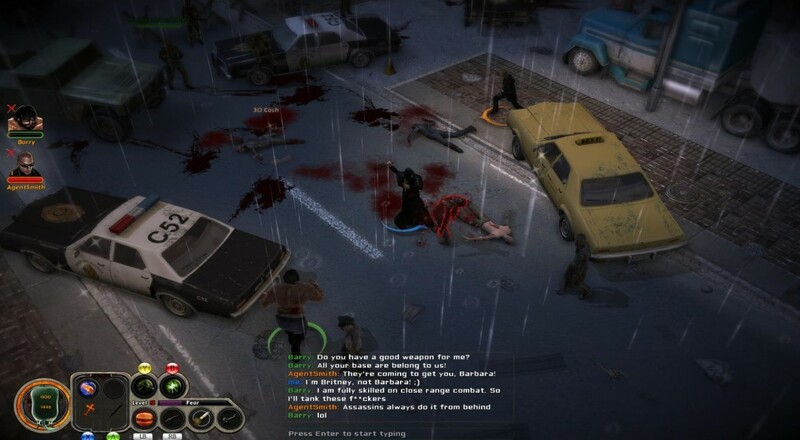 Trapped Dead: Lockdown from Bigmoon Studios and Headup Games is an upcoming isometric hack and slash RPG that sticks you and your friends in a small American town overrun by undead. The only way out is through peaceful diplomatic relations--kidding! It's guns and shooting. Five playable characters give Trapped Dead: Lockdown a bit of variety in play style and story content. There's the marine soldier who's as big as a tank, the marshal, the butcher, the hitman, and of course, an exorcist! All of them are slaughtering zombies for their own perfectly cogent reasons, and getting them from point A to point Z(ombie) will be an absolute bloodbath. That's what zombies are for, however. All the fun of shooting without any of the guilt. Trapped Dead: Lockdown focuses on weapons variety to keep you glued to the screen. Everything from standard firearms to bludgeoning utensils, machetes, chainsaws, and plenty of special abilities, each one unique depending on your character. Buff yourself up by playing with a branching skill tree that allows for attack, defense and stat customization on a per-character basis. You can even drive cars to smash groups of zombies! Up to four online players can share in the fun, and when the game hits, a four pack will be available that includes gift codes as well as a copy of the original Trapped Dead game. Keep an eye out for Trapped Dead: Lockdown on PC March 20th. PS4 and Xbox One versions will follow later this year. Page created in 2.3088 seconds.